New data. What is it and where does it come from? Data sits at the heart of the digital revolution. The huge volume of digital data being generated by organisations and individuals has played a pivotal role in the growth in the amount of data as a whole. And that’s only going to increase. New data coming from sources like social media, connected cities, cars (90% of cars will be connected by 2020) and wearables (a watch, a phone etc), has the potential to make profound and beneficial changes to the way we all live. These are transformational times and we should all start to look forward to the opportunities that lie ahead and think big. Imagine a future scenario where your NHS health data is connected to your wearable technology, so that your doctor can monitor your health in real-time. That’s the kind of data–driven change that could not only improve your life, but potentially save it. Some key themes have emerged in the new digital world that many businesses are still trying to come to terms with. The smart use of data is already improving customer experience. Consider online commerce where digitalisation has changed everything. Personalisation of digital experiences is no longer an extra, but an expectation. If a customer has visited your site once, they expect you to recognise them on subsequent visits and they expect a tailored experience from businesses that have their data. Online retailers have all responded to this expectation. But, we are only at the beginning of this change. The smarter use of more new data has the potential to transform customers’ experiences far more. It is data that is at the heart of these user experiences. It is the fuel that in an increasingly cluttered digital world, delivers a superior online user experience – across multiple touch points. In order to provide a personalised experience, businesses must leverage data from multiple sources, and apply that data to serve customers with relevant content, product recommendations and services based on intent, location and interests. As the Internet of Things (IoT) develops, new digital data will allow brands to collect permission-based, real-time data about how, when, and where consumers use their products, creating data ecosystems. With devices, the IoT concept evolves rapidly. It connects people through more interactions than ever before. Devices track and record patterns of consumer behaviour – learning from them and intelligently translating them into usable insight. Supporting speed, agility and efficiency, the IoT is a live feed that enables huge growth – all stemmed from a simple consented feed of data. Today the growth of almost all organisations is tied to their ability to operate successfully in the new digital landscape. So, where would this ‘Internet of Things’ be without data? Insurers are enhancing pricing through the use of telematics, a data feed that measures how someone drives. Smart thermostats help energy providers accurately predict energy use, and the list goes on. The opportunities and promise from the IoT presents both opportunity and challenge. The opportunity is that you can begin to truly understand your customers. 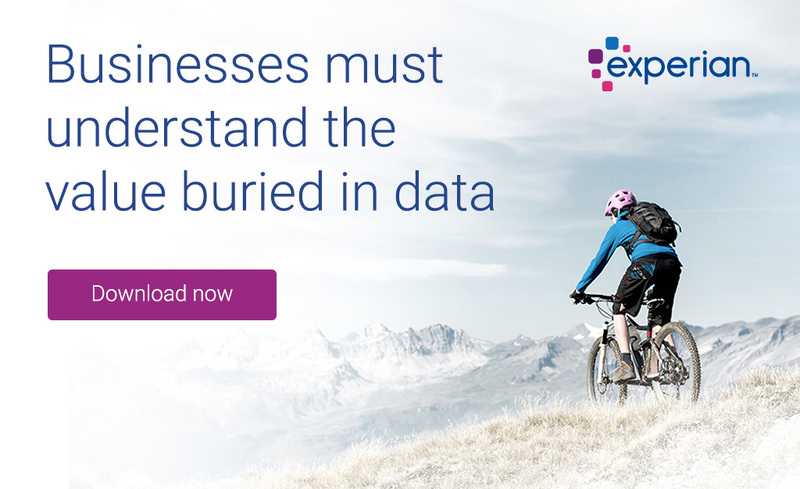 For most organisations, much of the value of collating and analysing data lies in acquiring a more sophisticated understanding of their customers – developing a 360˚ view of the people they are trying to provide products and services for. This is key to improving and perfecting the service and customer experience, but it’s also becoming increasingly complex as new digital channels emerge. First-party data – provided by the customers themselves – has been the primary contributor to the single customer view, as consumers share their data in the expectation of a better experience, but now businesses must look to second- and third- party data as well. The newest form of data, second-party data, comes from a partner who’s given permission for you to use it. You still require consumer consent, so this is – in effect – first-party data from another source, as it’s collected in the same manner but then shared with another organisation. A major benefit is that it allows you to reach users who show they’re a good match for your product or service, but aren’t already customers. Second-party data is more scalable too, as organisations begin to form strategic partnerships and affiliations to share information. The idea of sharing the load like this can alleviate some of the concerns around gathering large volumes of first-party data, making it a growing area for the future. In the digital advertising sector, partnerships like this are particularly popular, as they allow advertisers to identify and reach audiences with similar qualities to existing customers. Aggregated from multiple sources via indirect channels, third-party data is usually drawn on to create generalised segments for targeting. Data company’s aggregate customer consented information from multiple websites, showing interests in particular topics based on behaviour, before categorising people into defined groups, such as ‘sports enthusiasts’. It can also include information such as smartphone location or purchasing transactions. New data sources are being generated all the time. The need for this data stems from multiple areas, from those in rented accommodation having a thinner data file, or those with low access data for example. Developments in data to enhance are on the increase. Rental data, like Experian’s Rental Exchange, is one development and offers more inclusivity for consumers who rent, contributing toward their credit file and enhancing the opportunity to obtain credit when relevant. First-party data’s power is augmented when it’s enriched by the other two categories. High performers take advantage of all three types, as this approach moves them closer to the ‘Holy Grail’ of a truly 360˚ holistic view of the consumer, that benefits business and customer alike. According to Experian research, 97% of organisations are looking to achieve a single view of their customers. Data must paint a full picture of individual customers. Achieving this means drawing on multiple data sources, creating a rich blend of insight that cuts to the heart of the customer’s needs and wants. As far as possible, organisations should therefore be looking at all the new data they can. Collecting and interpreting a brand’s first-party data is the first and most important step that organisations can take to achieving a customer-first approach. This makes it a top priority for any successful business strategy, as studies show that there’s no better predictor of future customer actions than past customer actions. Maintain a focus on creating a ‘single customer view’ – make it a strategic priority for the business. Explore emerging data types and formats. Focus on data quality, rather than simply volume.